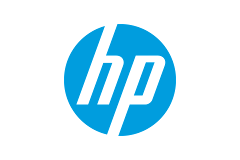 At Best Office Supplies we stock a massive range of HP ink cartridges with everything available for free delivery on all UK orders. We aim to provide an unbeatable combination of cartridges for HP printers with a choice of both genuine and compatible inks for most HP printers at low prices. We're confident that HP printer ink cartridges bought from Best Office Supplies will produce quality prints every time or your money back. So whether you are looking to buy ink cartridges for the HP Envy, DeskJet, Photosmart, OfficeJet, or another one of the HP printer models, choose Best Office Supplies for low cost, high quality HP printer ink with free delivery and complete peace of mind.